Ontario is recognizing five leading researchers for their contributions to the fields of chemistry, physiology or medicine, physics and economic science and Waterloo Chemistry alumnus Aron Broom (BSc. '07, MSc. '10, Ph.D. '16) was one of the recipients. The John Charles Polanyi Prizes are awarded annually to five researchers who are in the early stages of their careers and pursuing post-doctoral research at an Ontario university. Recipients of the Polanyi Prizes represent the province's next generation of innovators. "It is an honour to recognize the recipients of this year's Polanyi Prizes," said Merrilee Fullerton, Minister of Training, Colleges and Universities. "Polanyi Prize winners represent some of the best researchers across Ontario universities. Their research encourages innovation and positively impacts the everyday lives of Ontarians." Broom worked in the Protein Folding Lab as a graduate student under the supervision of Chemistry Professor Elizabeth Meiering. Enzymes are nature’s catalysts, accelerating the chemical reactions vital for the function of living organisms. 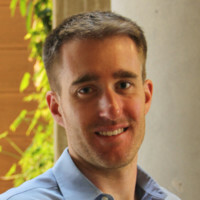 Broom's doctoral research focused on the computational design of protein structures and predicting ligand binding. Broom has published 12 academic papers and is currently a postdoctoral fellow at the University of Ottawa. His current research focuses on using a computer to develop a method for changing the structure of enzymes. The results from his project can be used in a variety of ways, including the creation of new chemicals for industry, better pharmaceuticals, production of new biomaterials, conversion of bio-waste to biofuels and decontamination of pollution, all through environmentally friendly green chemistry.